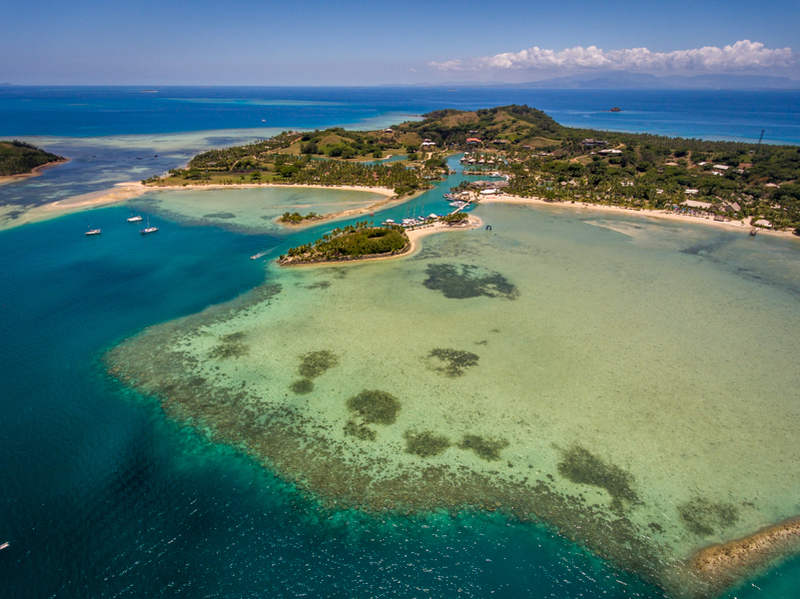 With the stunning visual backdrop of Fiji’s natural island beauty, day four of the 2016 Fiji ISA World SUP and Paddleboard Championship saw Australia’s Michael Booth and New Zealand’s Sam Shergold emerge victorious in the divisions of SUP and Paddleboard, respectively, in an exhilarating 17km race from Cloudbreak to Musket Cove in Fiji. Australia and France both earned two medals on the day. Both countries’ increased their medal counts to six and asserted themselves as the early favorites to compete for the overall Club Waikiki Peru World Team Champion Trophy that is awarded to the overall Team Gold Medalist. 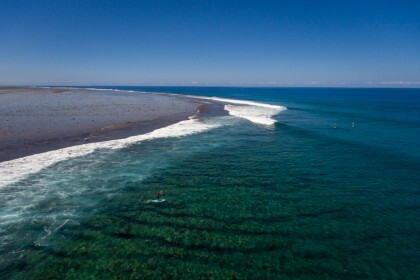 Building further anticipation to the final three days of competition, a massive swell is marching across the South Pacific Ocean towards Fiji, set to provide 10 foot (3 meters) waves for the SUP Surfing Finals at Cloudbreak. This will likely result in the biggest waves ever seen in an SUP Surfing competition. 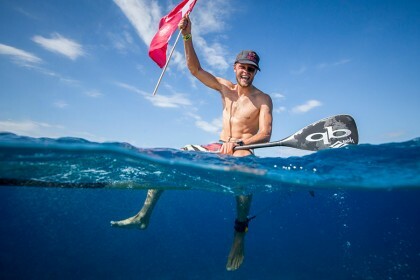 The Men’s SUP Racers kicked off the race Thursday morning from Cloudbreak where they traversed the channel towards the iconic, heart-shaped island of Tavarua. Breezy cross winds and high temperatures made for challenging conditions for the world’s best SUP and Paddleboard racers. A pack of seven quickly defined themselves as the lead group which featured, both Brazilian and French paddlers, Tahiti’s Georges Cronstead, Booth and Hawaii’s Kai Lenny. As the racers began to near Musket Cove, Booth pulled to the front of the train and eventually began to create separation from the rest of the pack. Booth held this lead all the way to the finish line, reaching his goal exactly at the two-hour mark. Following Booth in the SUP Men’s Distance Race with the Silver Medal was France’s Titouan Puyo, 15 seconds off the mark. Tahiti’s Georges Cronstead followed with the Bronze Medal and France’s Arthur Arutkin with the Copper. 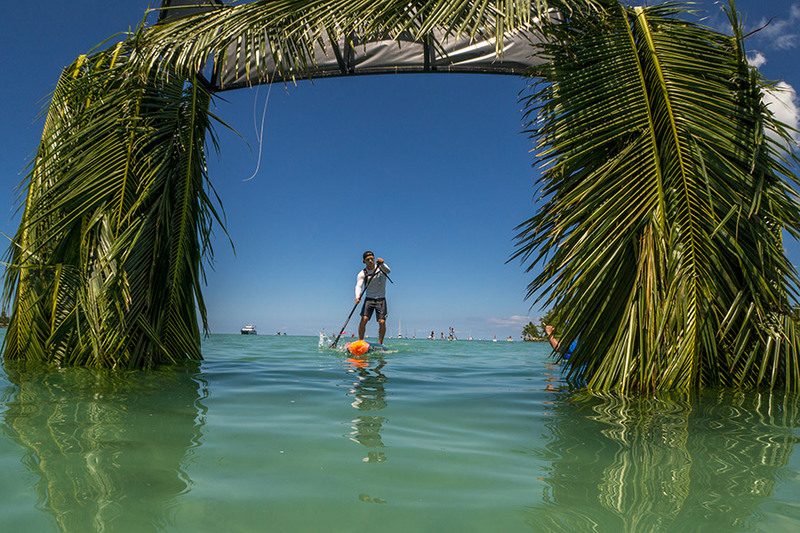 The Men’s Paddleboard Distance Race took off from the start line just a minute after the SUP racers, following the same course of bouys between the islands of Tavarua and Namotu on the way to Musket Cove. Four prone paddlers broke away from the pack early in the race, strategically drafting off one another to conserve energy in the low wind conditions. Australia’s Lachie Lansdown, the defending 2015 Gold Medalist, and Matt Poole were paired up against USA’s Jack Bark and New Zealand’s Sam Shergold. In the final stretch to Musket Cove they broke they pack and engaged in a free-for-all sprint, where New Zealand’s Shergold was able to find the energy necessary to cross the finish line at the 2:11 mark in first place, earning the Gold Medal. 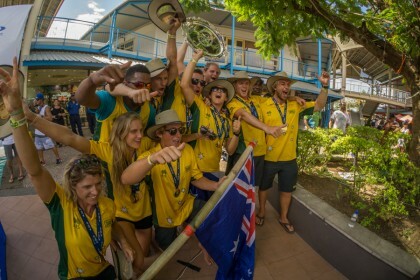 Australia’s Poole and Lansdown respectively followed with the Silver and Bronze, while USA’s Jack Bark fell off the pace and earned the Copper. “Today in the SUP Distance Races the world’s best paddlers showed us the grit and determination that it takes to compete at the highest level. This was true World Championship caliber competition. Congratulations to the medalists and to all those who powered through the challenging conditions to finish the race.